The historic building was first constructed in 1854. 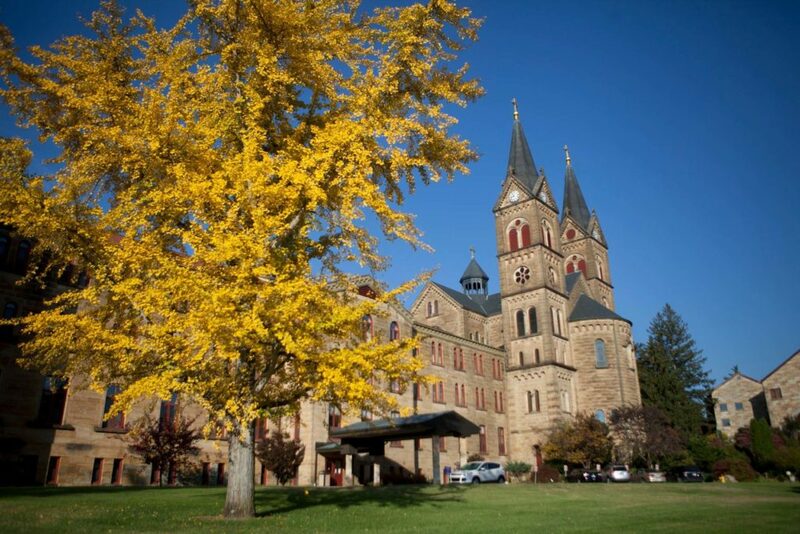 Only a few archabbeys exist in the world, and one of them is right here in Indiana. The serene and beautiful grounds offer an opportunity for reflection and peacefulness. This one is always a favorite for nature lovers. Many migrating birds and fish call this area home. For a few weeks between summer swimming and winter ice fishing, the lake become the perfect autumn hideaway with rustic cabins and cozy silo suites. FDR dedicated a classical memorial in 1936 in honor of Lieutenant Colonel George Rogers Clark, a celebrated Revolutionary War hero. It also boasts the Lincoln Memorial Bridge, and other memorials and markers. 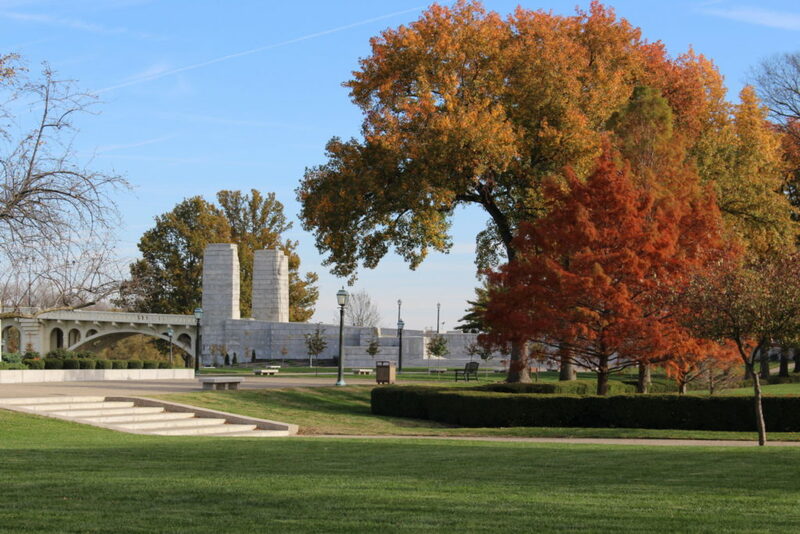 The self-guided tours are a great way to learn about American history, while enjoying a crisp autumn breeze. 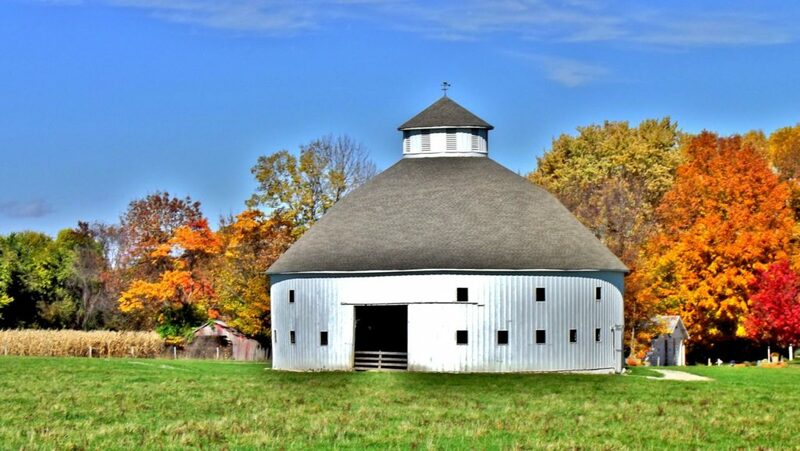 Cruise along the winding roads and rolling hills in Daviess County, and you’ll find Amish homemade foods, crafts, and art forms. The rich maroon, gold, and orange leaves along the way make the drive even more pleasant. The eclectic neighborhood was built with an artistic spirit. 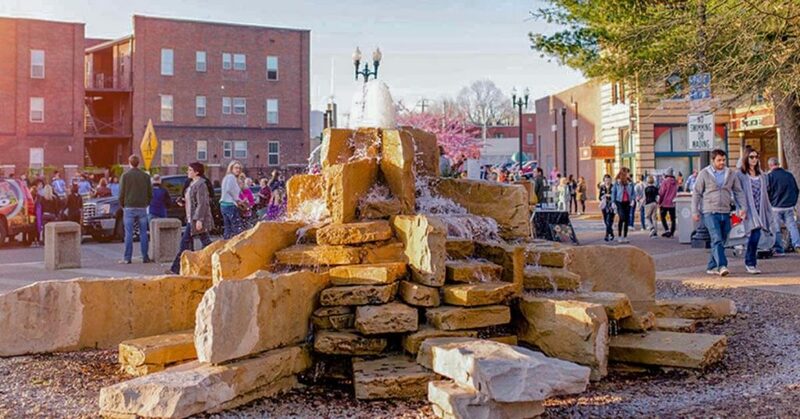 Stroll along the leaf-covered sidewalks and discover delicious locally-owned restaurants, charming shops, and delightful public art. A beautiful tradition has sprung up in Southern Indiana. 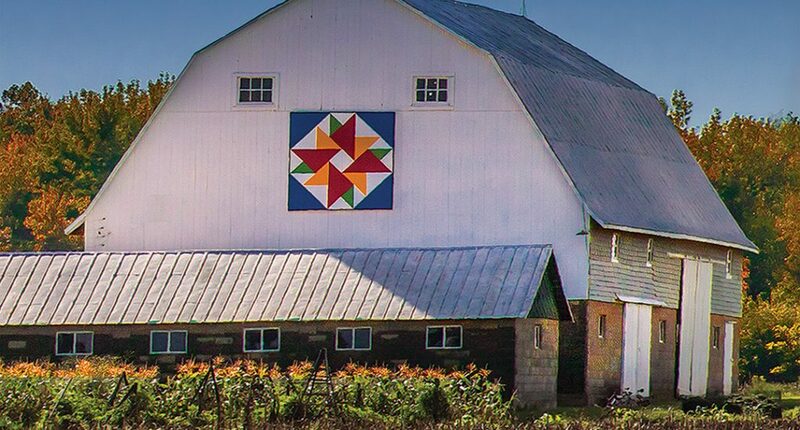 Scattered in the countryside, hand-painted signs are proudly displayed on over 225 barns. These signs aren’t just any ol’ sign. These squares mimic a quilt block with colors as brilliant as the turning leaves. 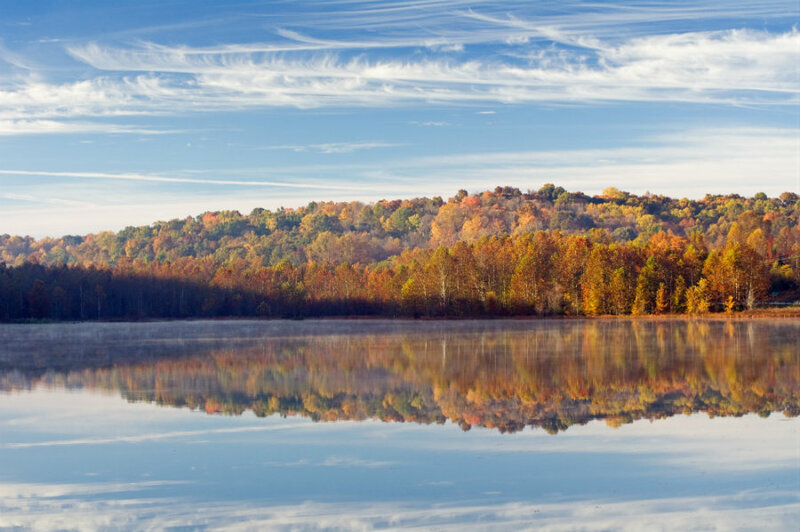 Catch a glimpse of fall color before it’s gone until next year!